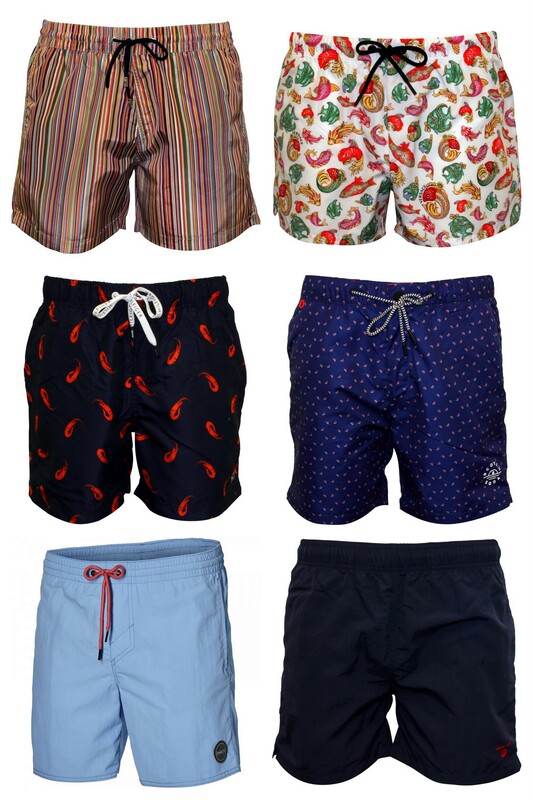 It looks like Spring may have finally sprung in the UK, and here at UnderU we are taking the opportunity to get our men’s swimwear sorted for Summer by adding a few new items to our collection. These Versace Goldfish Print Luxe Swim Shorts are our firm favourite. They may be an investment, but they really are a statement piece and are sure to turn heads this Summer and for years to come. Our Paul Smith Multi Stripe Swim Shorts are always a sell out; Paul Smith always bring a version out year after year they are so popular. Both contemporary and classic, they are well worth the investment. These Tommy Hilfiger Shrimp Print Swim Shorts are great fun and will add some spice to your beach attire this Summer. Our Scotch & Soda Mini Geo Pattern Classic Swim Shorts add a touch of interest through the geometric pattern and will work for the local pool and beach alike. These O’Neill Vert Solid Colour Swim Shorts are in the hue of the season. Pastel blue looks amazing with a tan so these are perfect for the beach. We also have them in pastel pink too. Our Gant Classic Swim Shorts in navy are perfect for the minimalist amongst us. They will never date and are super flattering on all body types.